When a hacker brings the city to its knees with a series of cyber attacks, Felicity suspects that someone from her past may be involved. Meanwhile her mother pays Felicity a surprise visit. When a cyber attack brings Starling City to its knees, Oliver (Stephen Amell) and Felicity (Emily Bett Rickards) are pushed to their limits to contain the destruction. Life gets even more complicated for Felicity when her mother, Donna (guest star Charlotte Ross), stops by for a surprise visit. Meanwhile, Ted Grant (guest star JR Ramirez) questions Laurel's (Katie Cassidy) motives, and Thea (Willa Holland) buys an apartment with Malcolm's (John Barrowman) "estate" money, which infuriates Oliver. 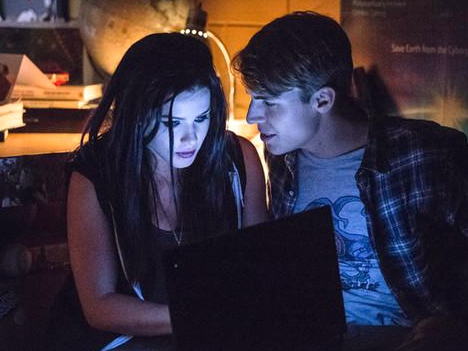 Nolan Funk guest stars as Felicity's ex-boyfriend.